You can find lots of unique items here at The Kings Bay, but besides our many dinosaurs, I think the coolest thing we sell are the British Phone Booths. Did you ever wonder how they became such a pop icon or what sparked the idea to use them as home decor? 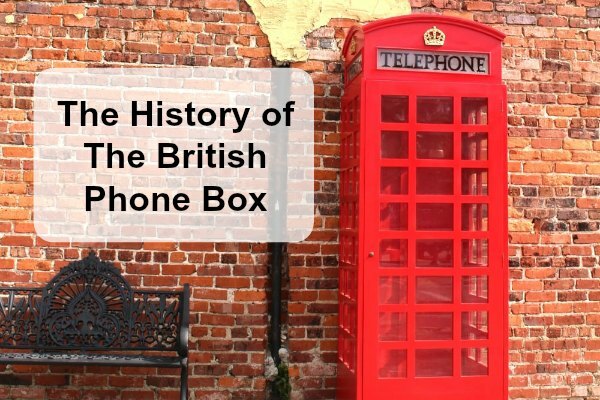 We certainly did and thought you would like to know some of the back story and how the simple red box has become synonymous with anything British. You have probably seen it many times. 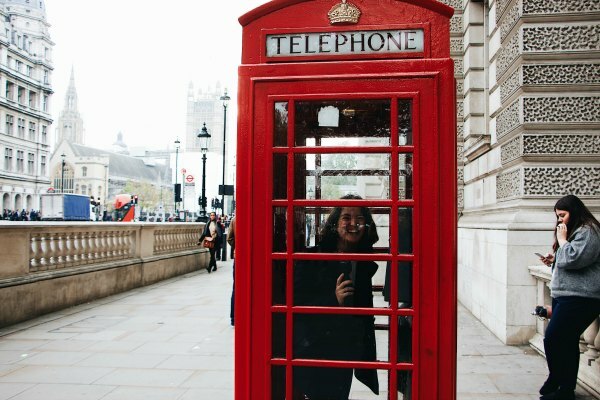 A British cultural icon, the red telephone box – called phone “booth” in the U.S. – a kiosk for a public telephone, is a familiar sight on the streets of London and in travel brochures and post cards. With little windows on the front and sides and a domed top, the iconic phone box, though slowly disappearing, can still be seen in many places throughout the UK and in current or former British colonies around the world. Some of these iconic phone boxes can be found in the United States. Several of them have been installed on the Norman, Oklahoma, campus of the University of Oklahoma. A few have been installed in downtown Glenview, Illinois. There is one outside the British Embassy in Washington, D.C., and one stands on the Courthouse Square in Oxford, Mississippi. In Massachusetts, there is a red telephone box in the student center of the Massachusetts Institute of Technology. Two red telephone boxes are on display at the World Showcase area of Disney’s Epcot Center in Orlando, Florida, and one of them is from yours truly the Kings Bay…..we fairly certain it’s the one in Epcot…with one in Westminster, Maryland on the corner of West Main Street and Rt. 27 outside of Johansson’s Dining House. 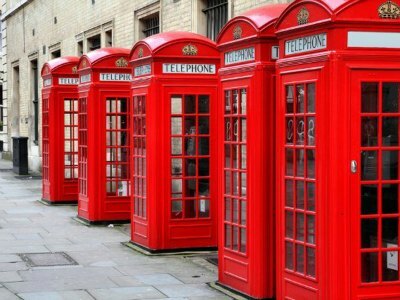 In Lake Havasu City, Arizona, a few red telephone boxes arrived when the old London Bridge was preserved there. How did this beautiful, elegant British structure come into existence? The first standard public telephone kiosk introduced by the United Kingdom Post Office (GPO) was produced in concrete in 1920 and was designated K1 (Kiosk No.1). This design was not of the same family as the familiar red telephone boxes. 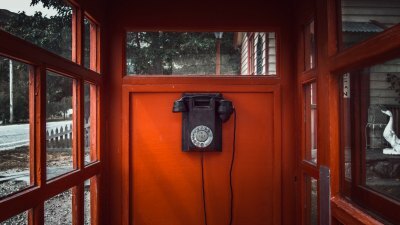 The first red telephone box was the result of a competition in 1924 to design a new kiosk. The Royal Fine Art Commission (RFAC) was instrumental in the choice of the new British standard kiosk. From 1926, K2 was deployed in and around London. Later designs adapted the same general look for mass production. The Jubilee kiosk, introduced for King George V’s silver jubilee in 1935 and known as the K6, eventually became a fixture in almost every town and village in the UK. In 1935, there were 19,000 public telephones in the UK; by 1940, thanks to the K6, there were 35,000. The door and two glazed sides of the K2 each have 18 equal-sized panes of glass arranged in 6 rows of 3. In the K6, the number of rows was increased to 8, and the central column of panes was made considerably wider than those to either side. This improved visibility, and gave a more horizontal appearance to the windows. From 1926 onwards, the fascias of GPO kiosks were emblazoned with a prominent crown, initially the Tudor Crown, representing the British government. The same crown was used in all parts of the United Kingdom and British Empire. In 1953, Queen Elizabeth II replaced the Tudor Crown in all contexts with the St Edward’s Crown, a representation of the crown used for British coronations. This new symbol began to appear on the fascias of K6 kiosks. 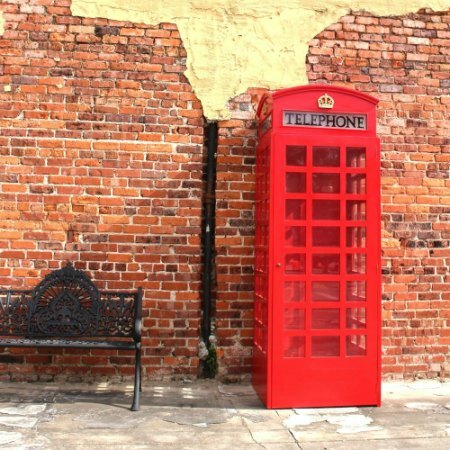 In 2006, the K2 telephone box was voted one of Britain’s top 10 design icons, which included the Mini, Supermarine Spitfire, London tube map, World Wide Web, Concorde and the AEC Routemaster bus. Although production of the traditional boxes ended with the advent of the KX series in 1985, many still stand in Britain. The red telephone box has appeared in British pop culture, such as in Adele’s video “Hello,” the front cover of One Direction’s album Take Me Home, the back cover of David Bowie’s album The Rise and Fall of Ziggy Stardust and the Spiders from Mars, and features in a prominent scene in the 1955 black comedy film The Ladykillers, where a motley gang of crooks led by Professor Marcus (Alec Guinness) cram into one. In the award-winning short film titled “Phone Box” by Alan Powell, the stories of a disparate group of characters are shown through their use of the same red London phone box. 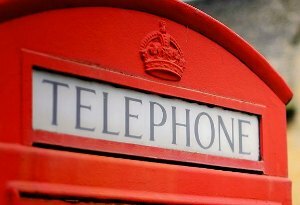 With official production of the traditional boxes having ended with the advent of the new phone box series, little-used red telephone boxes in England are being adopted for other uses, including book exchanges, defibrillator locations, and free mobile phone chargers. Just like here in the States, the phone booth has seen a rapid decline is usefulness and many have fallen into disrepair. Are you looking for a reproduction English phone box or Tardis? Have an upcoming party and need something original to decorate with? Then our selection will keep you covered. We offer several different styles of the K Box from wood, aluminium, and even full steel versions.